Do you need to ground an antenna if it’s covered in plastic? 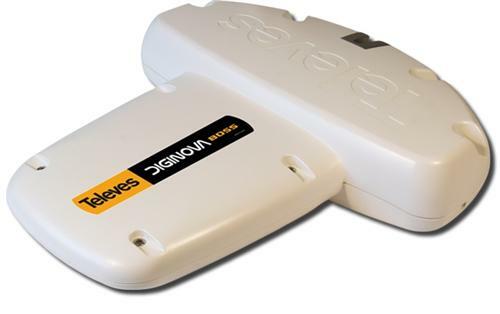 If you’re considering an antenna like our Televes DigiNova Boss, you have a lot to feel good about. It’s solidly built, a great performer, and has advanced features like LTE filtering to keep stray signals out that might cause interference. But don’t think that because you see a lot of plastic that you can skip the grounding phase. The antenna is mostly plastic on the outside, but there’s still metal on the inside. Not only that, but you’re pretty much always going to put it on a metal mast and that will need to be grounded for sure. So please, please don’t skip the grounding part. Televes’ standards call for grounding both the antenna and the ground wire in a case like this. There is no metal-on-metal connection between the coaxial cable and the mast so both should be grounded using approved ground wire. This is a simple step and will save you a lot of heartache later on in the case of an electrical storm. If you’re not sure what kind of grounding connections you should use, the best thing to do is check with your local city hall or a licensed electrical contractor in your area. No matter what, grounding should be part of the process of putting up every single antenna, even plastic-covered ones. Will DIRECTV ever add those subchannels that you can only get from an antenna? Which is better, two antennas, or one antenna with a rotator?